It's dangerous to rock out. Here, take this. 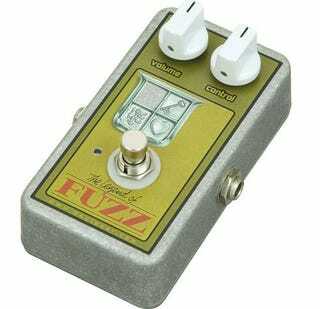 It's $95, is real, and comes fully endorsed, because it has the word "FUZZ" on it. No harm ever came from a combination of fuzz and guitars. The Bit Legend of Fuzz Guitar Effects Pedal is an intense sawtooth shaping fuzz that creates tones reminiscent of C64, Atari, and other old video game consoles. Operates on standard 9 volt battery. That might be a bit of a stretch for a humble effects pedal, but hey, as has been pointed out, it's got a Zelda theme on it as well as the word "fuzz". That should be good enough for most.